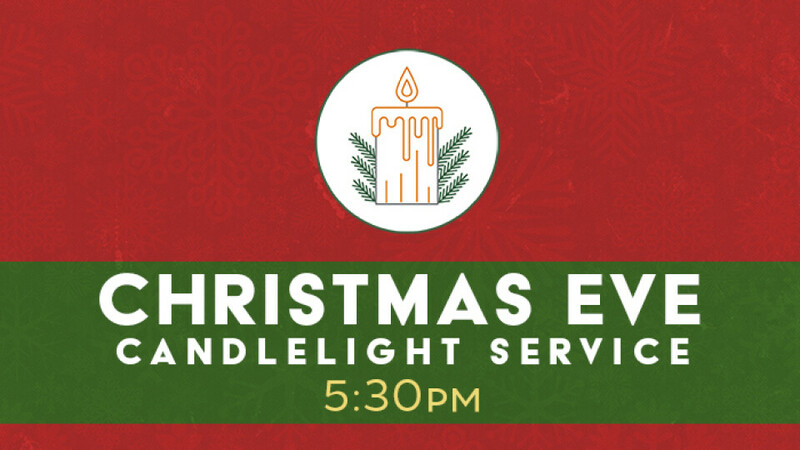 Join us for our Christmas Eve Candlelight Service December 24th at 5:30pm. We will observe the Lord's Supper, share a brief message, and sing Christmas hymns by candlelight. This service fills up fast so don't be late!